Many individuals are eager to support DTHD’s mission in both the United States and Tanzania, and we are very grateful. We welcome your enthusiasm and commitment. Medical volunteer Lydia Hartsell assists with a birth in rural Dodoma, Tanzania. DTHD has frequent need for volunteers to help in the office, at events and more. Please contact us directly for more information. DTHD Board Member and volunteer Nancy Combronne, center, joins DCMC’s Community Health Dept. 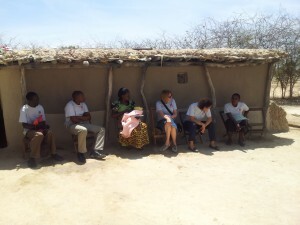 for a post-natal visit to a new mother in rural Dodoma.